Holy cow y'all my first post on the blog! I'll be completely honest with all of you: I have no idea how to blog for photography. However, I knew that this proposal was one that needed to be shared with the world! At 6am the day of, Ross left his parents house in Houston. Bess was in town from Dallas for New Years, but when she woke up, instead of Ross being in the den, it was one of her best friends! Equipped with a polaroid to document the day-- and many tears-- Bess made her way throughout the morning being taken to many locations where a friend and a letter from Ross awaited her. 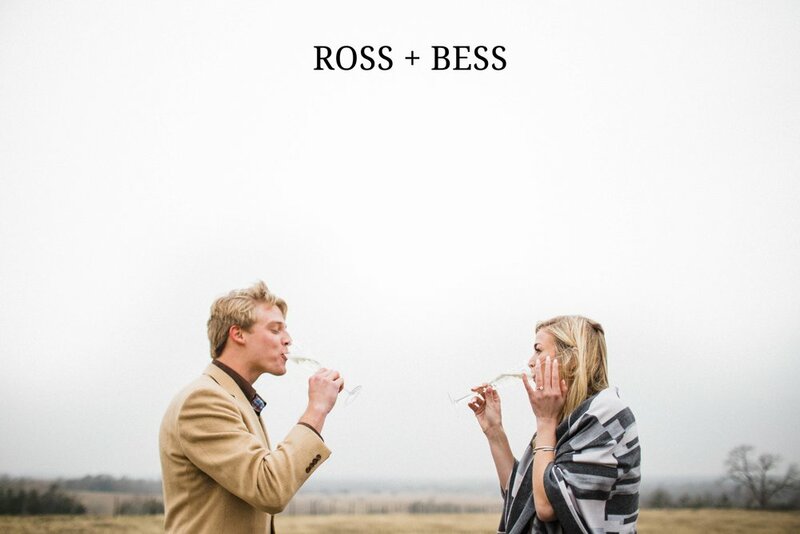 I asked Bess what the best part of the letters was to which she answered, "Ross talked continuously in the letters about how some of his best memories consisted of having friends pick him up before the start of a fun day-- community is so important to the both of us and Ross intertwining that into the day meant the world to me." The last location was a family friend's farm, where one of Ross's close friends drove Bess out to a field where he stood with the last letter in hand and ring in pocket. The beautiful huge bench was one that he had bought from the summer camp where he and Bess met years earlier-- you can't see it in the pictures but the significance of this bench was that they had both signed the bottom of it years ago at camp-- it was the sitting space for many a long conversation and laughter! Getting to be the fly on the wall while they giggled and jumped and rejoiced together over their future was truly the best end to 2017 that I could've asked for! If you couldn't already tell, an insane amount of joy radiates from these two! I feel so blessed and honored to have gotten to be a part of their day.